We ask everyone what they would “pumpkin spice” that isn’t already. Oh, and who is everyone? 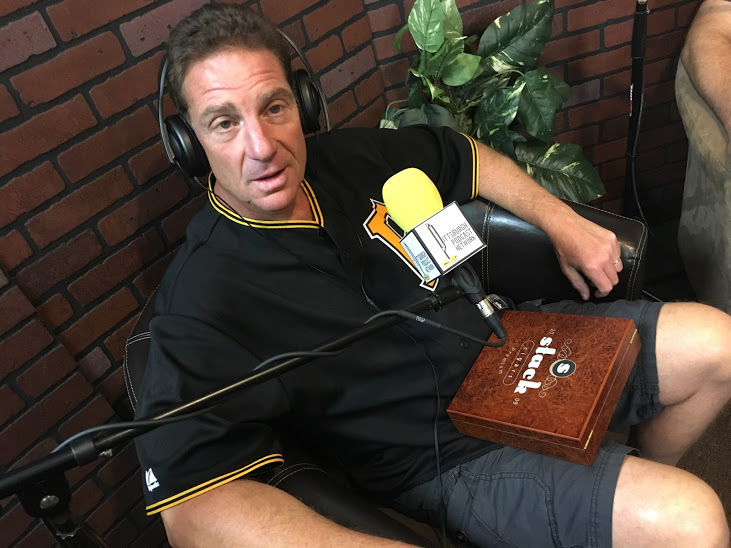 Nationally touring comic, Bobby Slayton, “The Pitbull of Comedy” calls in from the Pittsburgh Improv and the Pittsburgh Podcast Network’s own astrologer, Judi Vitale, explains Mercury in Retrograde, her new book and if the Amish have to worry about Mercury in Retrograde since they don’t have any computers. Then, an event that you have to sign up for if you’re in to awesome pumpkin carving, Guts Pittsburgh is a “Make A Wish” carving competition. Finally, John Knight announces his VP running mate winner for the Jagoffs Party POTUS election. 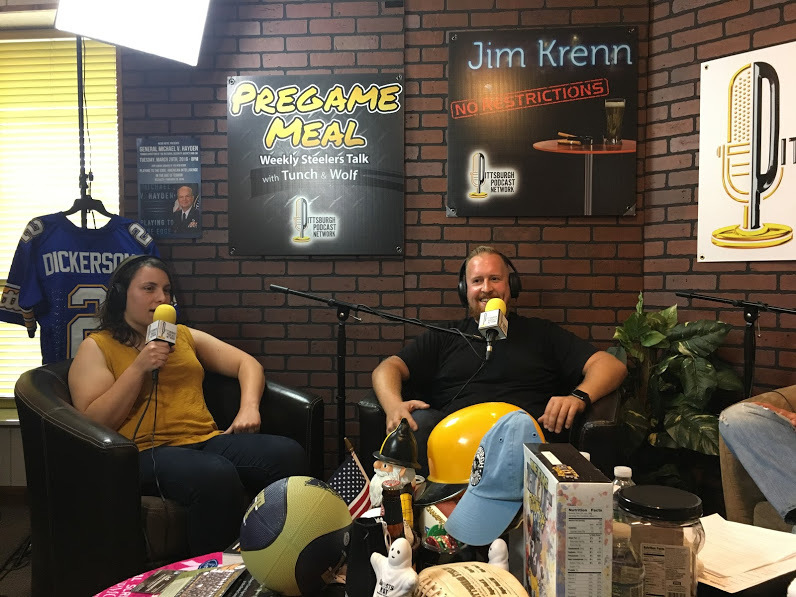 If you don’t see the player bar below, click here to hear the podcast or listen on iTunes, Apple Podcasts, Google Play Music, Stitcher Radio, Soundcloud, Overcast, Pocket Casts, and Tunein Radio via the “Pittsburgh Podcast Network” channel. 00:55 Everything is pumpkin spiced… what’s left to spice? And we now have our own astrologer! See what our last podcast, “Podcast Under the Stars” did for us? 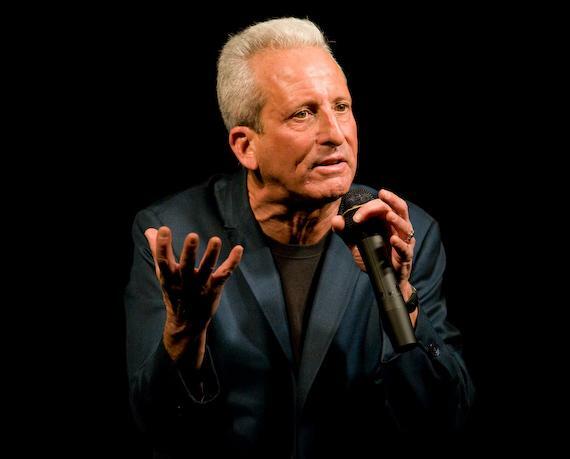 05:35 Comedian Bobby Slayton calls in and weighs in on the pumpkin spice issue. He’s known as the Pitbull of Comedy for good reason! In this day of political correctness, he’s still doing his thing. Thanks to the Pittsburgh Improv! Make sure you follow their schedule. 17:40 Judi Vitale is a nationally known Astrologer. 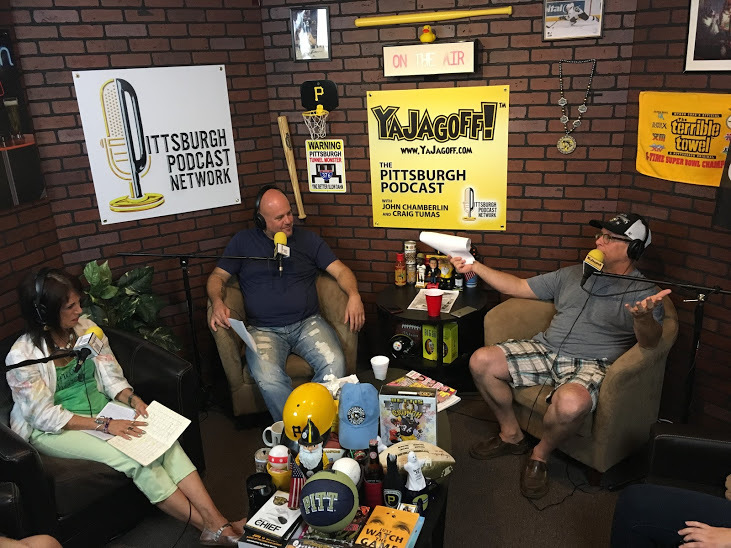 She’s done books, national publications and, now the icing on her career cake… the YaJagoff Podcast! Oh, yeah…. She has a new book out now, “Live in Spirit, Love Your Life”. Here’s her website to get an appointment: Journeys Of Life. She answers the Mercury in Retrograde question, like, why does it screw up our computers and coffee machines and what it does to the Amish horses! 32:05 Jon and Anastasia from www.GutsPittsburgh.com are in the studio, which is probably the coolest pumpkin carving contest you’ll ever see. Go check their website while you’re listening and then get your team together to go carve on 10/15/2016 at Penn Brewery to raise funds for Greater Pennsylvania Make-A-Wish! 41:45 Comedian John Knight, who writes the “What Aggravates Me” blog post every Saturday on YaJagoff.com, is running for POTUS under the Jagoffs Party because, “He’s not the other two!” He has selected a VP running mate out of all of the entries. And the winner is…….. (you’ll have to listen) and they get cigars from Smoke Stack Pittsburgh, 2 passes to the new Imaginarium Escape Room and 4 tickets to the Arcade Comedy Theater! 47:02 The Sonoma Grille has a new menu for the Fall! Thanks to The Food Tasters and Fame 15 Creative for the invite to try out the menu. Recommendation: go get the KALE… no kidding! Even if you live on donuts and chocolate milk, you will love the kale. The Sonoma Grille is located in the Cultural District in Downtown Pittsburgh at 947 Penn Avenue. Visit The Food Tasters Instagram to see what we tasted!